Police Officer Jason Ellis was shot and killed from ambush on an exit ramp off the Bluegrass Parkway shortly before 2:50 am. A citizen called 911 at 2:53 am to report that an officer had been fatally struck by a vehicle. A Kentucky State Police trooper responded to the scene and discovered that Officer Ellis had been shot. 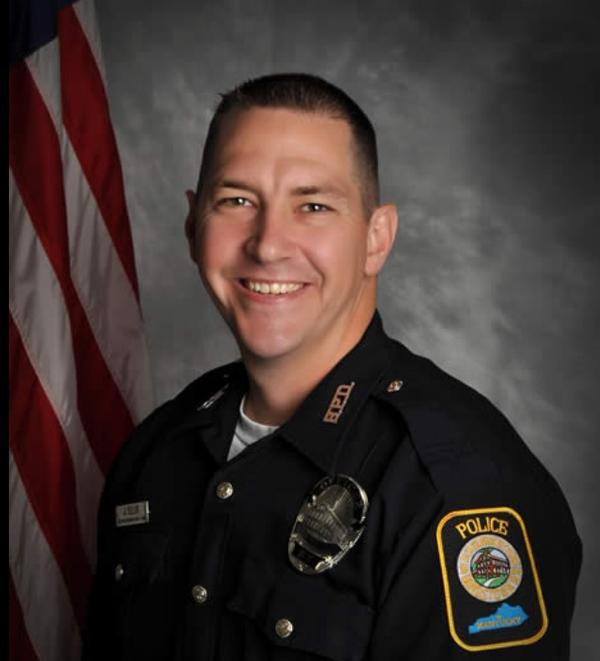 Officer Ellis had served with the Bardstown Police Department for seven years. He is survived by his wife, two sons, mother, stepfather, and two sisters. Officer Ellis is buried in Highview Cemetery, Chaplin, Kentucky. Officer Ellis' canine partner, Figo, was retired after his murder and lived with a family member. Figo passed away in 2017. I used to live in Kentucky and now reside in North Carolina. I remember when Officer Ellis was murdered. It broke my heart and brought me to tears learning he left such a young, beautiful family behind and seeing Figo paying his last respects. It still does. I've thought often about Officer Ellis and hope that one day soon the truth of his death will be learned and the person or persons responsible will be brought to swift and firm justice. God bless you, Officer Ellis.